As a parent myself, I understand the urge of wanting to buy something for your child(ren) all the time. But you don't want to just keep buying things for the sake of having something (anything) to give them to make them happy. There will be times you want to buy something that serves another purpose other than to entertain. 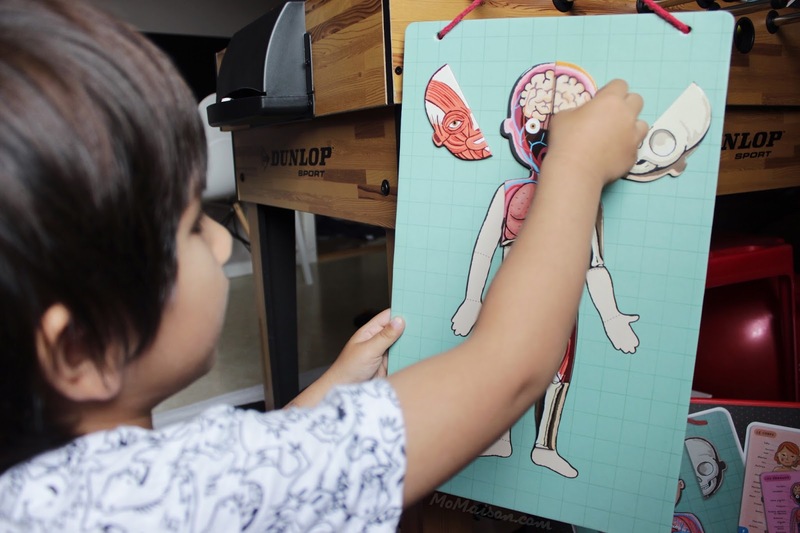 Educational or mind-developing toys/games perhaps? 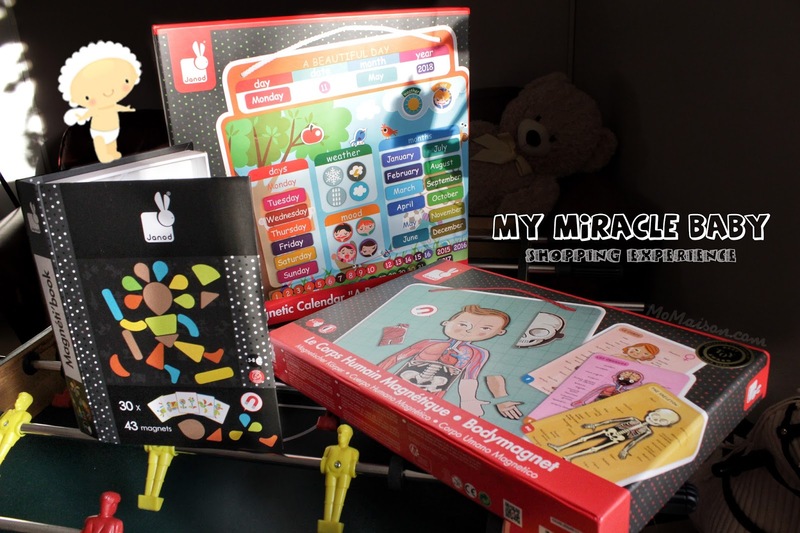 Then I chanced upon My Miracle Baby SG and found really interesting toys from Janod selling on there. "Ah! This is it! These would be really fun yet educational for Hansel!" According to Family Lives, "Play is one of the main ways in which children learn. It helps to build self worth by giving a child a sense of his or her own abilities and to feel good about themselves. 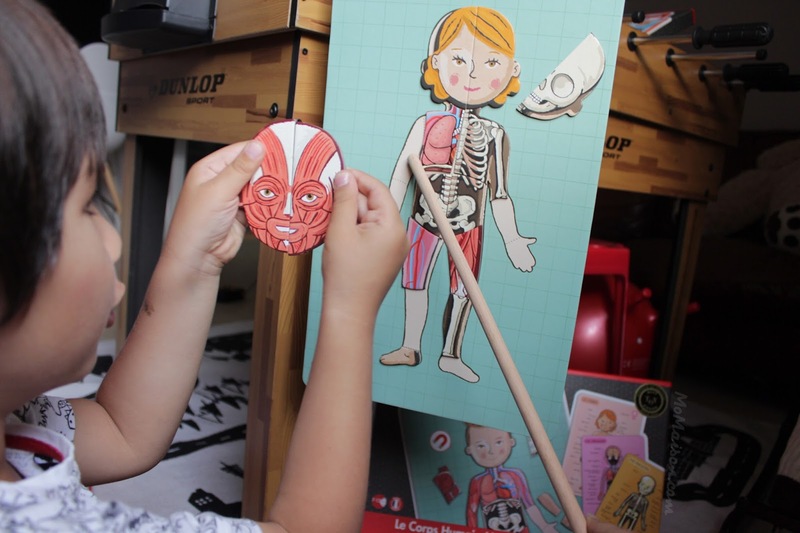 Because it’s fun, children often become very absorbed in what they are doing. 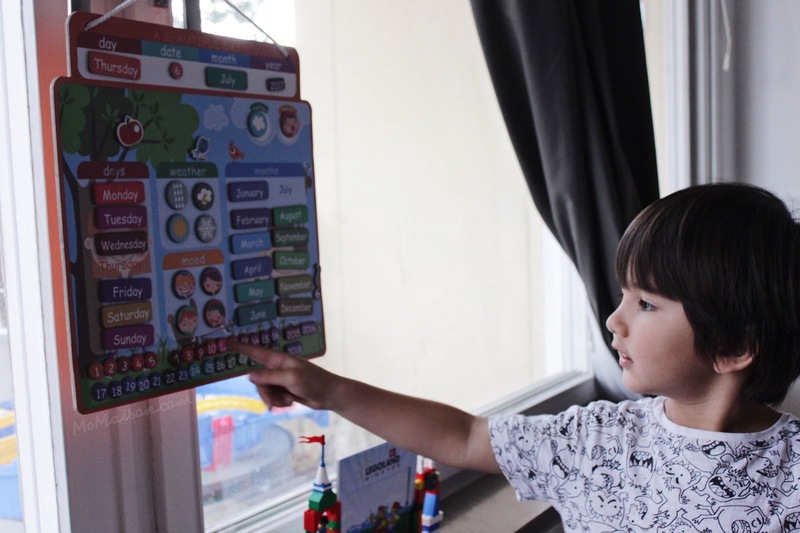 In turn, this helps them develop the ability to concentrate." Read on to find out what I got for him from there which both Hansel and I love & enjoy! I love all their Magnetibook series because they all come in a book-shaped carrying case making it convenient to bring it anywhere. A perfect on-the-go play. 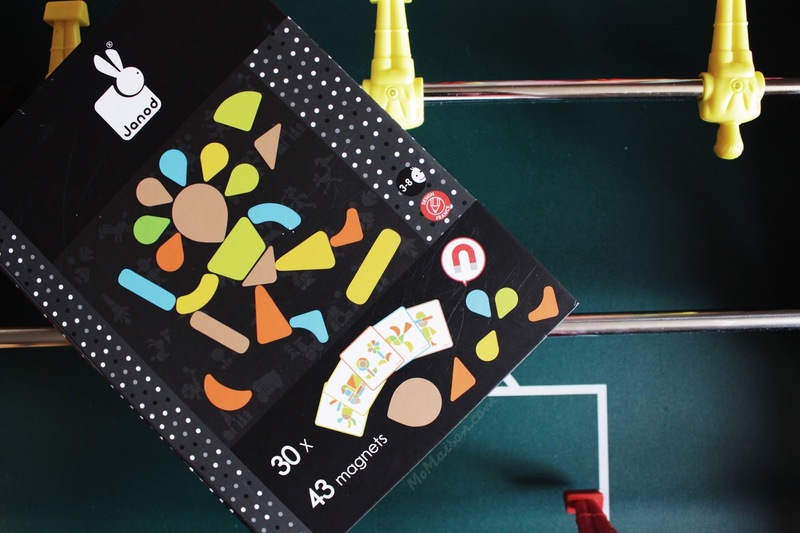 This Moduloform caught my eyes and is ultimately one of my choices to get as although it has 30 design suggestion cards, it is also up to the child's imagination to create anything else they want with the 43 moduloform shape magnets. The fun is then limitless! All 30 design suggestion cards are vibrant and has very appealing moduloform shapes design. It was fun for me too. Brings out the little girl in me. 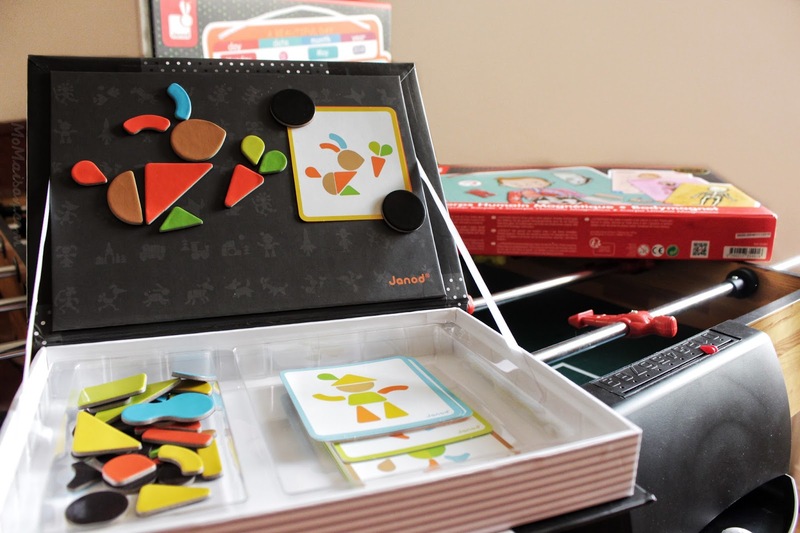 Look at the carrot-eating rabbit Hansel created with the shapes! Absolutely love this! 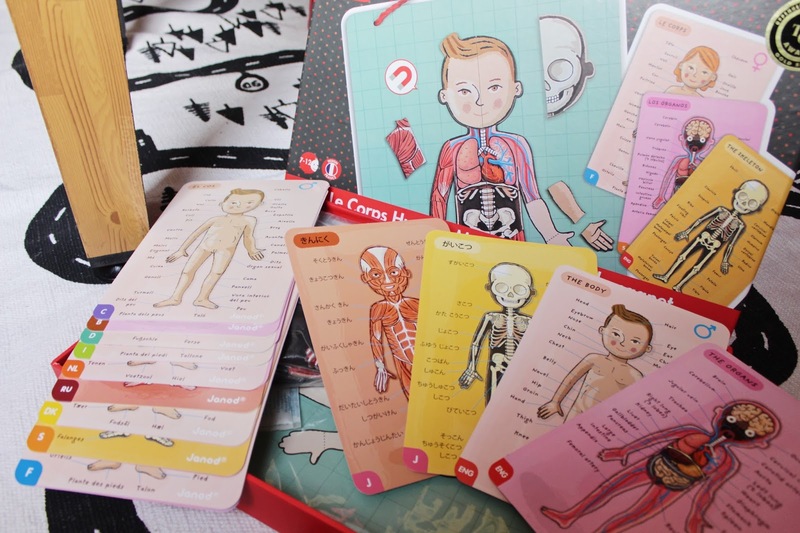 I studied nursing and worked as a nurse before so thought this was really interesting because it consists of 4 body systems: skeletal, muscular, organ and the main body. Picture above shows how it looks when unboxed. 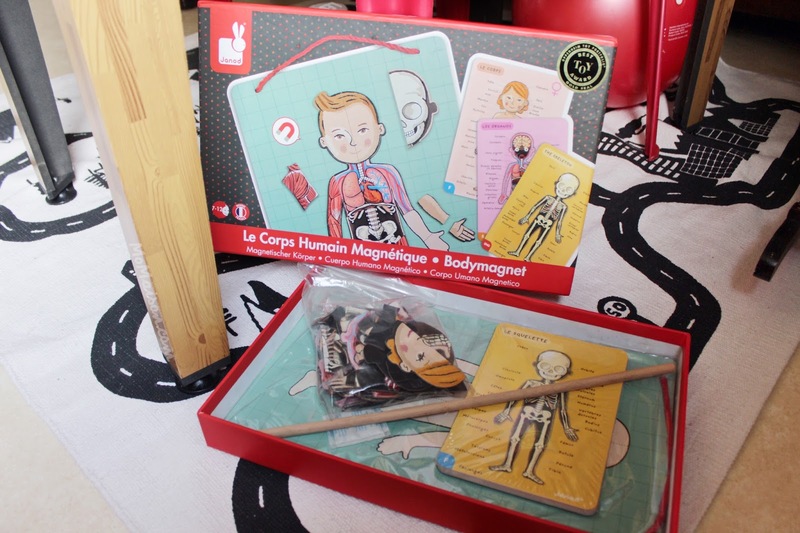 It comes with 76 body part magnets, a magnetic holder board which you use to recompose and learn the different body parts, 22 map cards with the names of the body parts in 11 different languages and a wooden rod to be used as a pointer. It has also won the gold medal at the "Oppenheim awards" in 2012 in the US. The cards are 2 sided so 1 language takes up 2 cards. They come in French, English, German, Dutch, Spanish, Catalan, Basque, Italian, Russian, Danish and Japanese. Talk about multilingual! Hansel is definitely having fun with them while learning at the same time! Refreshed my memory on anatomy too haha! You know there is really no favourite out of the 3 because they are all great learning toys! 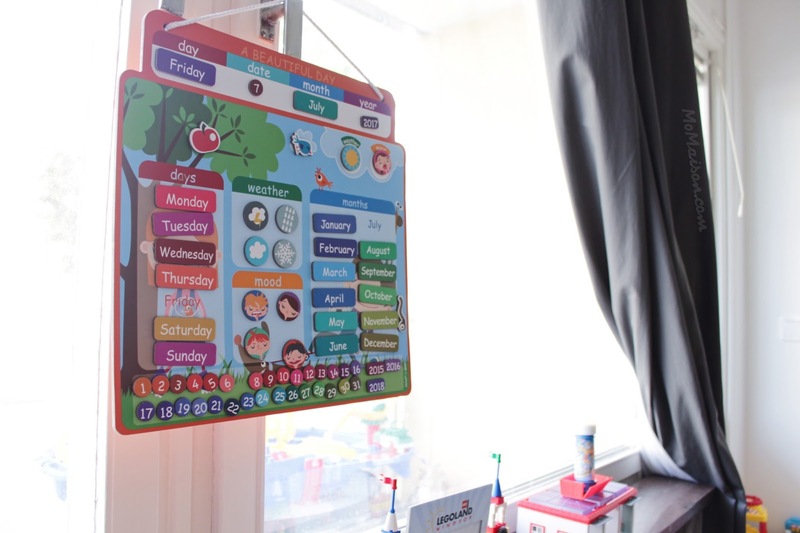 This calendar makes learning days of the week, months of the year, weather and moods fun. The colors on all the magnets are colorful and vibrant. It can be used forever if well taken care of! What you see on the picture is all you get in the box. There are 3 cute magnets of an apple, a bird and a worm which Hansel can choose where he wants to put it too. The year magnets are only up to 2018 but you can make your own year magnets with colored paper, a laminator and an adhesive magnet or simply paste a clear glossy scotch tape over the space below and use a whiteboard marker to fill in the year (it does not have to be changed for 365 days anyway ;D)! This is really engaging for Hansel while we discuss about the weather of the day and how he is feeling. From the faces on the mood magnets, I assume they are happy, sad, tired, angry and cheeky but it's all up to your and your child's interpretation. The only downside to them was that the calendar magnets are not very strong so with a slight touch, it might fall off the board. 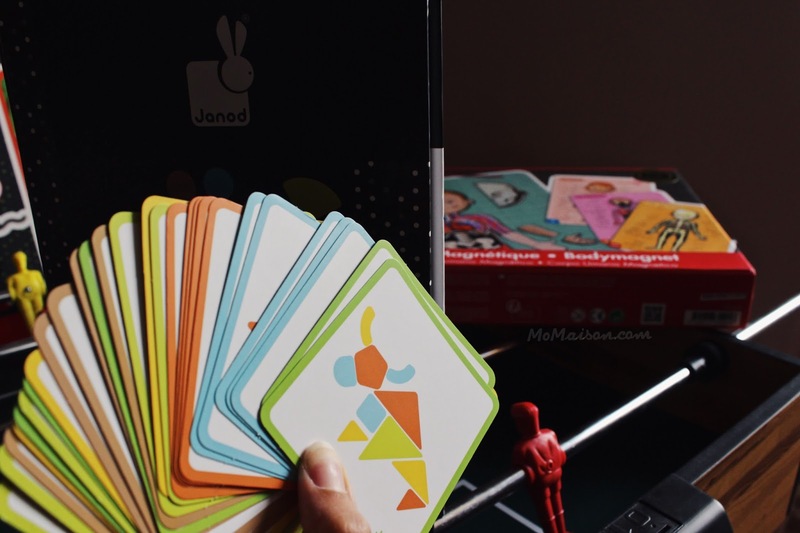 All in all, Janod toys are really cute and of high quality. I am so glad I picked these up from My Miracle Baby. Other than these, My Miracle Baby offers a wideeee range of other products for both parents and children. Strollers, nursery pillows/mattresses, car seats, apparels, eating utensils for kids and scooters to name a few. Maybe now you can shop for your children or yourself guilt-free!